Personally I love clinical practice. Being able to do a job that can help even a person’s life just a little motivates me to continue in this activity with enthusiasm and passion. At the same time, I believe that human life is also full of potential satisfaction, serenity, and, why not, happiness. I think all of us have thought at one point or another that we wanted something more out of our career or our business, or have heard friends and family complain about the same kind of dissatisfaction. Who says that we have to settle for this? 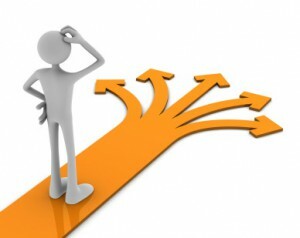 We can look for new ways to achieve our aspirations, understand our strengths and use them to their maximum potential. Here’s what personal counseling can do for you. A psychotherapist is qualified not only to conduct therapy but also for other types of psychological counseling. Job interview coaching, whether you are seeking career development or if you need to look for a new job after being made redundant. Source: translation from http://it.wikipedia.org/wiki/Counseling  Source: translation from Rollo May, L'arte del counseling, Roma, Astrolabio-Ubaldini, 1991.